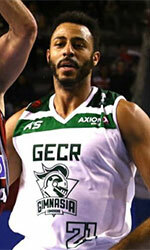 Marinos de Anzoategui signed a deal with American guard Derrick Roland (193-G-88, college: Texas A&M). At the same time, the club released Jeremy Hazell (195-G-86, college: Seton Hall) due to problems with his international transfer. 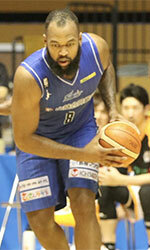 Derrick Roland arrives to Venezuela from Lanus Buenos Aires. He joined them in December averaging 6.1 points and 1.2 rebounds for 11 games in LigaA. Before Lanus, Roland spent one month with Penarol Mar del Plata. There he had 6.2 ppg and 1.8 rpg for 5 games. The player started the season with Uruguayan team Sayago. He shined with 22.1 ppg and 3.3 rpg for 10 LUB games. It was his first professional contract. Derrick Roland graduated at Texas A&M University in 2010. He had 10.5 ppg, 3 rpg and 1.7 apg for his school as a senior.